There's like a very masculine and feminine duality that I used to think myself of, in a way. But in reality gender isn't supposed to exist at all. We've all had past lives in both genders. Therefore, to be truly open to human experience, you will all have to activate your respective anima, or animus. This is the repressed feminine or masculine side inside of men and women. When activated, you experience a new type of freedom. Suddenly, it's unnecessary to chase after men or women, because now... ina strange way, you are whole and complete. I am a Man AND I am a woman. In me rests the kind of energy of power, authorita, and conquest. And also the energy of imagination, creative work, artistic appreciation, and poetry. Every guy has a feminine side, and every girl has a masculine side. When this side is opened up, what happens is you're that much more attractive, that much more whole, that much more complete and that much more fulfilled. Life takes on a different sort of perspective. Meditate with the intention of fully activating your other side, be it the anima or animus energy, and watch how you feel after doing so. Actually gender is supposed to exist. 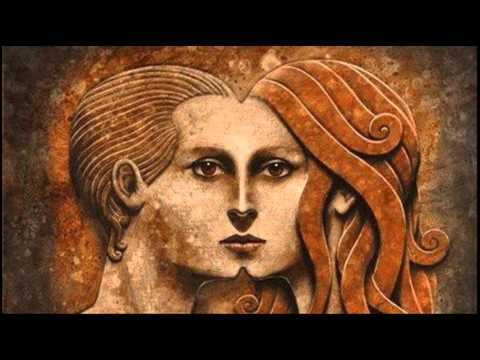 There's gender in everything in the universe masculine and feminine. You shouldn't have a 50-50 balance for the polarities but a dominant gender archtype and a minor one. This guarantees full attraction in relationships because if you are balanced 50-50 in energies nobody will be attracted to you because the puzzle pieces don't fit. Either way we expess our anima and animus just fine whereas the woman has a yin outer form and a yang inner form, that's why they have explosive emotions. While the man is Yang on the outside and Yin on the inner. While we had past lives in both genders we have a life in a respective gender now and we've com here to fufill that polarity. Eh, maybe. Sort of. But not entirely. The most successful PUA right now is a man that calls himself DistantLight. He describes himself as a flaky supermodel. Most, or at least half of his traits are feminine... the only masculine aspect is leading, I would say. Massive Massive charisma. Or maybe even Zan Perrion, who is a full blown feminist. You have pretty much turned into half a woman at the pinnacle of success with women. Even amongst politicians... Bill Clinton. Power, and then Warmth. There is always a feminine side out in the open. Essentially there's internal fulfillment. You don't need a woman anymore to fulfill you, because you have now accepted all your sides and you are whole. You are complete as a person. You don't have to play hard to get, because you are hard to get. You are out of reach. Now you suddenly want something more, like a soulmate, and won't lay down with a girl just because she's good looking. It essentially means the personality itself is sexless. There's a very obvious feminine and masculine side in a person that's whole and complete. A man like Hitler will always get more women then a man like whatever his name is. Opposites attract. Osho speaked about this in book of wisdom. Yeah your straying too far into the new age love and light there is no evil doctrine. The guys haven't even fully mastered the masculine principle and now they want to be feminine. I'm androgynous for eternity in the next dimension. Sorry I come to earth to balance out my polarities in the right way. And also I would still be mindful that the elites have an adgenda of femminzing men so this idea cannot be good. We see where mr nice guy gets us.